I have a SQL Server 2014 Build(12.0.5205.0) running here. Would It be possible to view any Live execution plan (from queries being executed by other users) in Activity Monitor ? I heard about Trace flags, enable a global trace flag using DBCC traceon(7412,-1). Enabling This flag above (7412), considering the build version of my Sql Server, will it work? Or only in SQL Server 2016? If it works, I don't have the sa rights. What kind of permissions do I have to ask for? 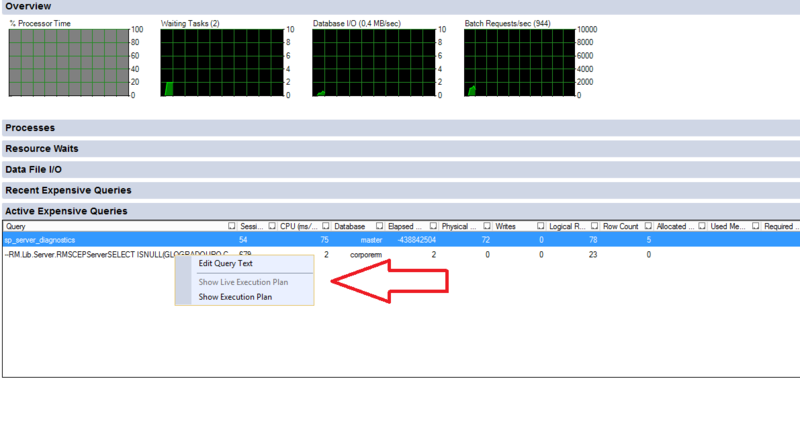 [SOLVED] Why does SQL Server Profiler trace not capture SELECT operator in execution plans? [SOLVED] Why over 1.3TB desired memory for this query, it should have no memory grant? [SOLVED] SQL Server - best practice before applying trace flags? [SOLVED] In what circumstances I am more likely to benefit from auto update stats async on?